Whether you're a resident or nonresident, recreational or commercial, anyone wishing to fish in California's waters will most likely need a license. The fees for fishing licenses, operated by the California Department of Fish and Game, are used for research, outreach programs and protection of California's diverse and important ecosystems. Grab a rod, some bait and a fishing license and drop a line in California. California defines a resident as any individual who has continuously resided in the state for six months or longer, are an active member of the military or a member of the United States Job Corps. Any California resident who is 16 years or older must posses an active fishing license to fish in any of California's waters. An annual fishing license is $41.50. A one-day license is $13.40 and two-day is $20.75. Discounted rates are available for residents who meet certain conditions. Seniors over 65 with a stated income less than the levels set by the state and disabled veterans can receive an annual license for $6.25. California also offers lifetime licenses, ranging from $463.25 to $761.25 depending on age at time of purchase. These licenses apply to most fishing but special endorsements, which include an additional fee, are required for certain types of fishing: use of two rods by one angler, fishing in Santa Barbara County and the Colorado River, and fishing for abalone, sturgeon, salmon, steelhead and spiny lobster. All rates are valid through Dec. 31, 2010. For those wishing to toss out a line while visiting California, a nonresident fishing license is necessary, unless the angler is younger than 16. An annual nonresident license is $111.85. The one-day and two-day licenses are the same for residents and nonresidents, $13.40 and $20.75, respectively. Nonresidents can purchase a 10-day license for $41.50. The same special endorsements required of residents also applies to nonresidents. If you are planning on using a guide or taking a charter check with the company as many will include the license in the price. Any resident or nonresident who intends to fish in California for the purpose of reselling the catch or any other commercial purpose is required to purchase an annual license. A resident commercial fishing license is $120.75 and a nonresident is $361.75. For those using a boat in their commercial venture, a boat registration fee is required: $317.00 for residents and $951.00 for nonresidents. There are also a slew of other permits and licenses, all requiring fees, based on how the commercial fishing is conducted, where you fish and what species you are catching and selling. Some particular areas of concern are the type of equipment, whether it is a long line, gill net, rod, spotting from an airplane and/or using multiple boats. Almost all areas of California require some type of additional permit. Species that require additional permits are shrimp, herring, halibut, salmon, squid, lobster, sea urchin, swordfish, crab and sea cucumber. All applications for licenses, whether resident, nonresident or commercial, can be obtained through the License and Revenue Branch of the California Department of Game - through its website or in person. Licenses can also be obtained through state endorsed agents, but an additional five percent service charge is added to the price. A licensed agent is convenient for nonresidents as the fishing license is instant and most agents can be found in areas with a high concentration of fishing. Free fishing days are sponsored by the California Department of Fish and Game to encourage activity in the sport. 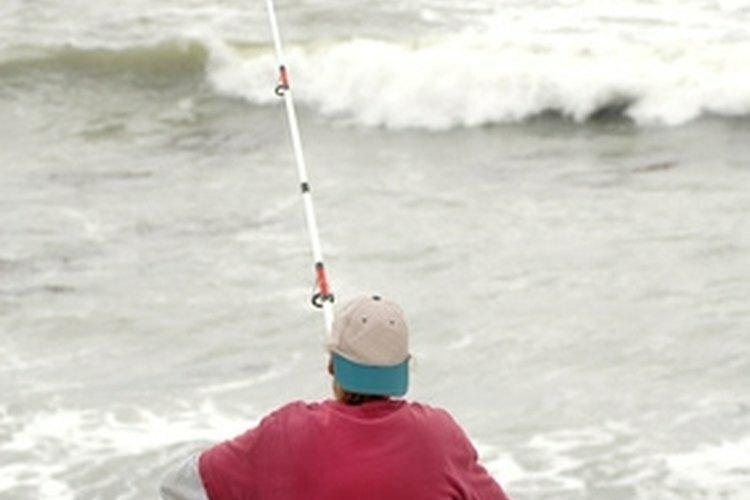 July 4 and Sept. 6 are the free fishing days offered in 2010. The department also offers a program called Fishing in the City where demonstrations and clinics are provided in major metropolitan areas to promote the sport and also educate people about the environmentalism, biology and ecology of California's waterways.